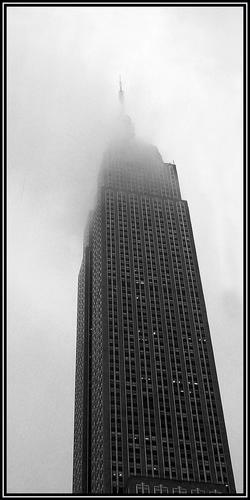 'Empire State Building During Storm #2' by David Sidwell - DPC Prints! I took this picture in the rain and got soaking wet doing it! It was worth it, though, to see the clouds part ever so slightly to give me a glimpse of the top!